After spending two weeks in Japan, it was a real treat to watch Tsukiji Wonderland, a documentary about the country's most famous fish market and even more of an honor to have a chance to speak with the director, Naotaro Endo. 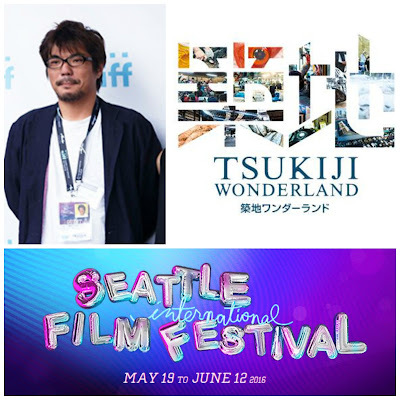 Tsukiji Wonderland is an official selection of the 2016 Seattle International Film Festival. Tsukiji Wonderland really is a wonderful film to watch and should be considered an important piece of Tokyo's history if for no other reason than to preserve the heritage and culture that the market has created and maintained over the last 80 years. 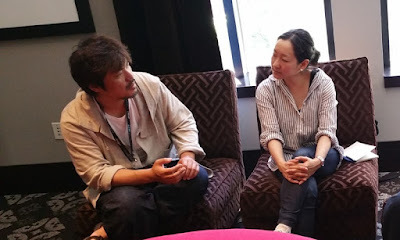 Naotaro Endo has given us a gift by crafting a beautiful and educational film and it was very interesting to hear his thoughts on making the movie during the interview. 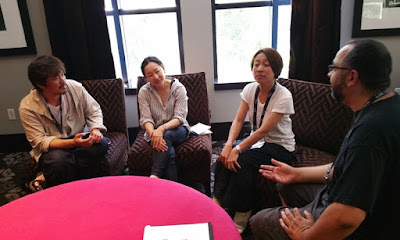 Joining us for the interview, and helping to translate, were producers Kazuha Okuda and Maiko Teshima. Marc: Thank you for sitting down with me today, I had a chance to watch the film just last night after being in Japan for two weeks and really enjoyed your take on both the market and Japanese food culture. Where did the idea of Tsukiji Wonderland come from and what did it take to go from that original idea to actually making the film? Naotaro Endo: I didn't know a lot about Tuskiji (Market) before I started this project, but the first time I visited, I was so surprised about the rich culture that was thriving there. A lot of people think they know Tsukiji, but they actually don't so I wanted to make a film to let people know what Tsukiji really is. 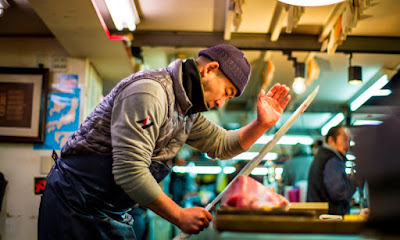 We see a lot of tourists coming to Japan and (to the market) so maybe it's good for us to tell people what Tsukiji really means to Japan and to the rest of the world. Movies are the best way to transcend the borders of all countries so this is why I chose Tsukiji to be the topic of a documentary film and it took about three years in total to make. It took one year for all the negotiations and to think about the script and story line, one year and four months to shoot, and the rest of the time was used for editing so we really put a lot of time and thought into it. Marc: Were there any difficulties in who or what you were allowed to film while you were there? Naotaro Endo: There were no specific regulations not to shoot anything and it's not the first time for (the market employees) to be on camera because there are news media and magazines that want to cover what's happening at Tsukiji. The difference is, the news media is more like short term coverage or a news spot so they're not really used to this type of long term production and it took a lot from both our end and their end to get used to working together. This was not just a story about the market as a physical place, we wanted to make a story about the real people living and working there. The market is a living thing and what makes Tsukiji special is the people working there so we wanted to cover a lot of them. Every shop specializes in something specific like tuna or shrimp and there are a lot of people doing so many different things, so to come up with a story line, we had to really think it through and that took a lot of time to figure out. Marc: The Nakaoroshi, or Intermediate Wholesalers, seemed to be a major part of the story and I thought that was a very interesting way to go because they seem so knowledgeable about everything and they are like the heartbeat of the market. How did the focus on these people develop? Was it in the original idea or did it come about during the filming? Naotaro Endo: From the very beginning, our focus was on the Nakaoroshi people and that's what we wanted to make the movie out of because they are the most knowledgeable people in the market. Fish is special because almost everything is caught wild so the market really depends on the weather and everything changes year by year and day by day and they have the knowledge to cover all of that. Since Japanese food has become so popular, a lot of people write stories through the lens of chefs, but we wanted to show who is behind that and who has built the foundation for this great culinary culture. We wanted to shed a light on those people who have made the Japanese food culture flourish so that was the original intention that we had. As you may know, a lot of Japanese food culture specializes in one specific category like a sushi bar will only serve sushi, a restaurant will only serve tempura, or just a certain type of fish. 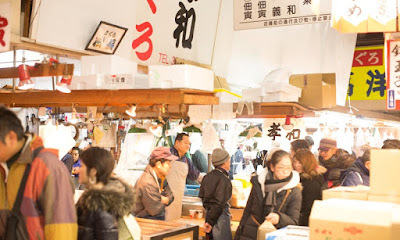 Tsukiji is the market that caters to those types of specialized restaurants with the Nakaoroshi and their specialized knowledge. We thought, since they are really special people with very special knowledge, that is why we wanted to focus on them over anything else. Marc: One of the things I noticed about the intermediate wholesalers is how they are really willing to teach people about their craft and there was a piece in the film about taking traditional seafood meals to schools as part of the education process for children. Do you see this documentary as a piece of that education process and would you like the film to be shown in schools if that was a possibility? Naotaro Endo: I would like this film to be some kind of educational piece because we have such a great, traditional culture and I believe that has to be passed on to the next generation. Now, with Tsukiji coming up on the historical moment of moving to a new location, I think this is the right time to document what it is so everyone knows what a great asset we have. Marc: Is there anything else besides what we've talked about that you would really want people to know and understand about the film? Naotaro Endo: I think it's universal, but if you are in the middle of this culture, you kind of take it for granted and you tend to overlook the value in it so what we wanted to do through this film was capture the real voices of the people who are passing on the traditions. To do that, we didn't put in a lot of narration or voice over, we used the real voices of real people because those conversations, the real conversations, become a trigger to make people think what they will take away from the film. I hope those real conversations become food for thought and for people to think about the future of our food culture. As someone who is Japanese, I hope people outside of Japan, the international audience, will like the film so I can get more feedback to send back to Japan. As I said, you can;t really see the value because you overlook your own culture, but if we get feedback from the international audience, it might help us to realize what a great thing we have. Marc: I saw that the film will be released in theaters in Japan this coming October. Are there any plans for a theatrical release here in the United States or are there any other film festivals that you have coming up? Naotaro Endo: Yes, the film will be released in Japan in October and it will also be released in other Asian countries during the summer although there are no release dates yet. 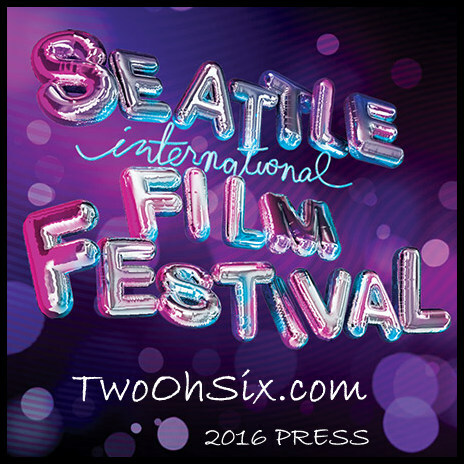 Regarding film festivals, we are currently sending our work out to see if we can have the opportunity to show the film in other places. One festival that is set is the San Sebastian Film Festival in Spain coming up in September and we are very excited because San Sebastian is also very well known as a foodie's paradise with lots of great restaurants. It will be great to see what kind of reaction we will get from people who will be gathering around that area. Having our world premiere in Seattle meant a lot because we know this is a place where people have a deeper understanding of Japanese culture and also seafood culture so getting a positive reaction from people was very meaningful and inspiring. Marc: Thank you very much for your time, I hope everyone has a chance to see this film. CLICK HERE to read my review of Tsukiji Wonderland. 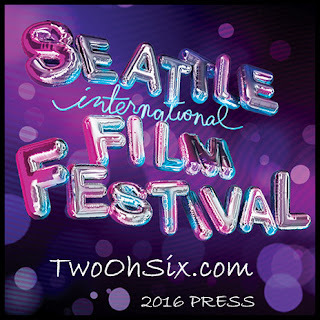 CLICK HERE for more reviews and coverage of the 2016 Seattle International Film Festival!